Almost there guys! Thanks for joining me all week. Today is the last day of Introductions. Release is tonight at 12:00AM EST! 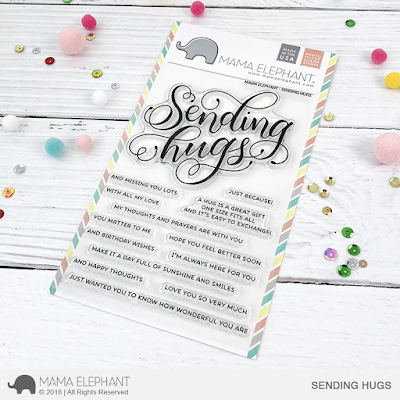 Today we are introducing Sending Hugs, a set handl-ettered by Paola Esteron. We all have a love affair with Paola's penmanship around here, and she delivers yet again with this heartwarming sentiment of sending hugs. Sending Hugs is a great set to have around, because a hug is always a good idea! Also new is the new Favor Bag accessory that is compatible with our Favor Bag and Tote Bag! I've got a couple of simple projects for today! 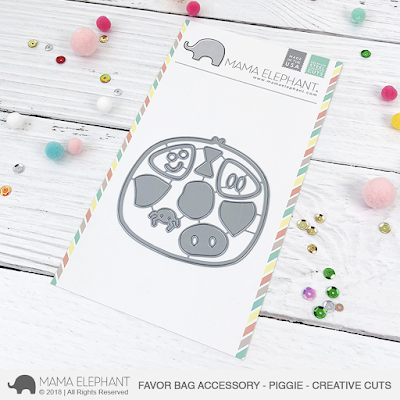 Love Paola's large sentiment sets for super quick and easy cards. Just need a bit of a creative background and you're already halfway done. This sentiment is perfect with these Hogs! 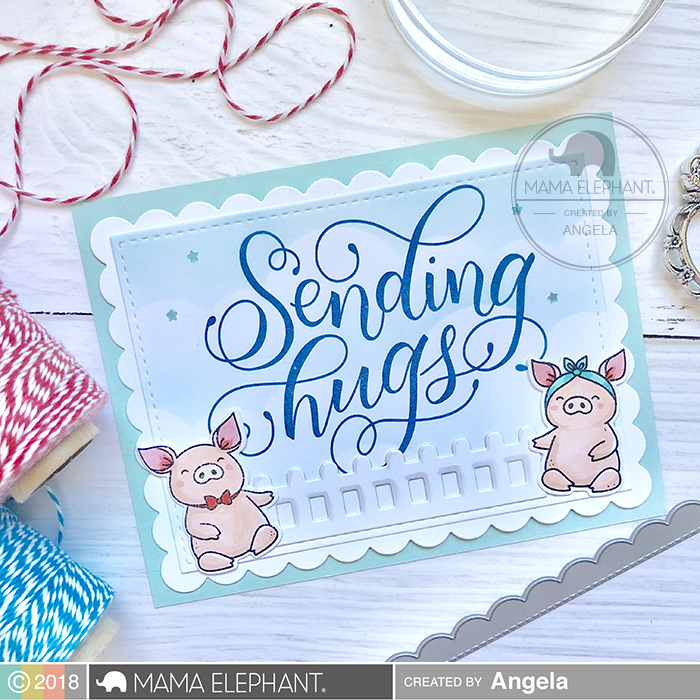 Angela created this cute card using the new Hogs and Kisses Stamp set along with the scalloped frame in the Waverly Creative Cuts Set! And now the pigs! FBA Piggies! How cute are they? We included two different ears for you to get different looks. I use our Tote Bag here. Remember the Design Team Stampede starts tomorrow morning at 9:00AM EST. I'm sure there projects will be a million miles better than mine, haha! I'm so looking forward to see their creative powers take over the blog! Again, thanks for joining me all week, we hope you super duper LOVE LOVE LOVE the new products! OH MY GOODNESS!!! Those pigs!!!! I'm in love! yup, darling little pigs indeed! I am loving the piggies!! !